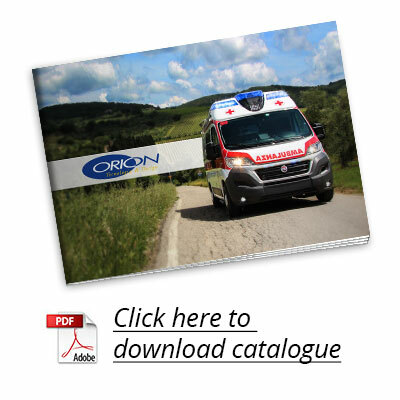 ORION has always been in the front line in terms of innovation and of care taken over outfitting its ambulances. For this reason it could never remain behind in terms of certification and quality systems. 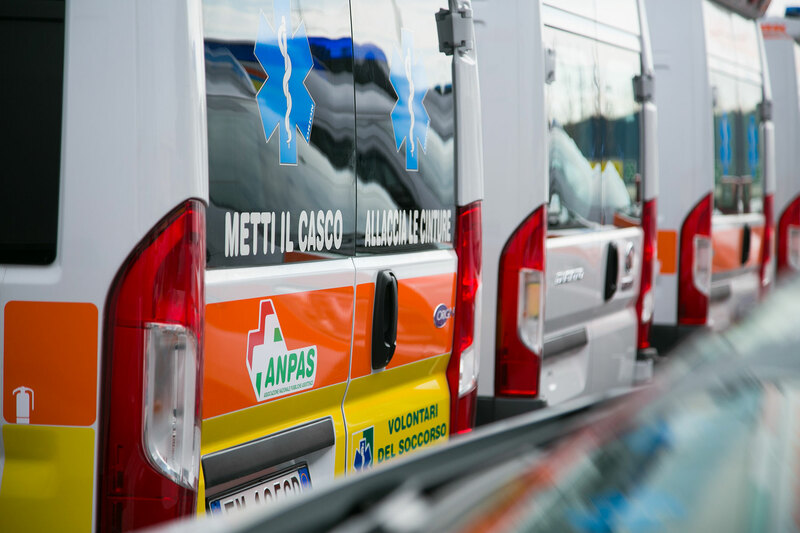 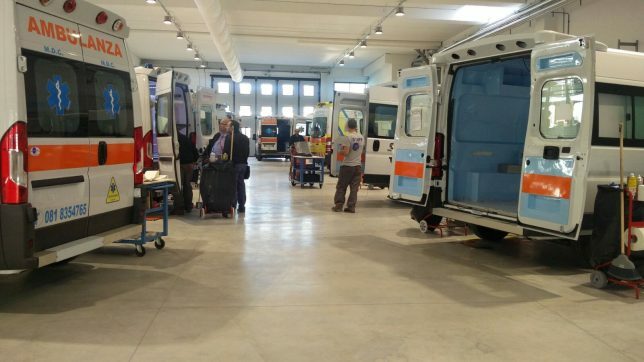 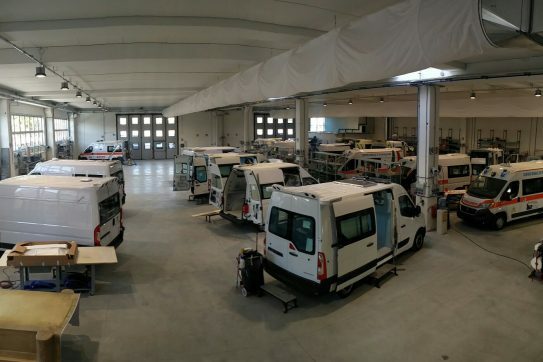 Orion has been working with dedication since 1997 to obtain the most important acknowledgements available, including type approval from the Infrastructure and Transport Ministry for large scale production of the ambulances. 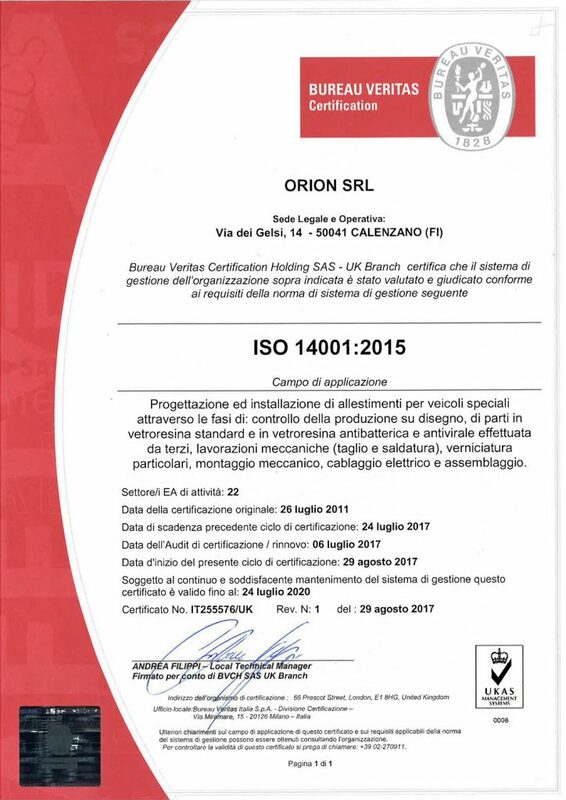 In 2011 ORION obtained environmental Certification ISO14001, which testifies the company’s close attention to the working and production environment. 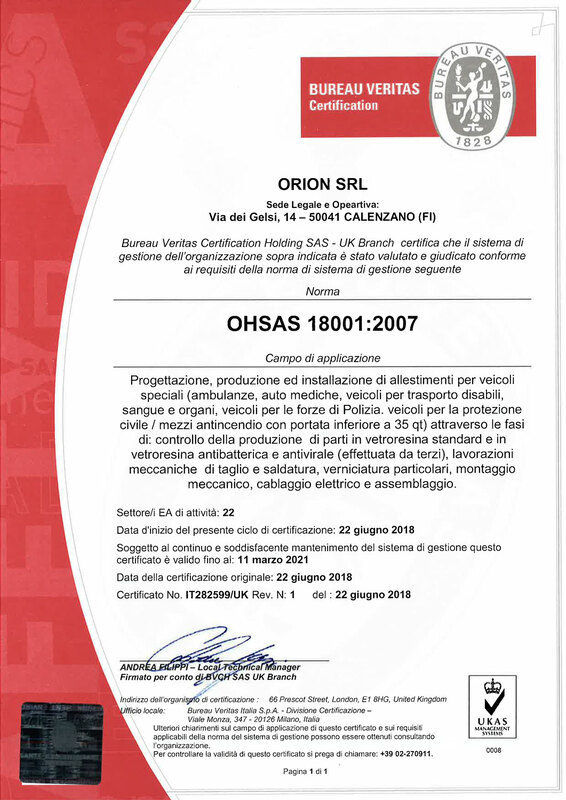 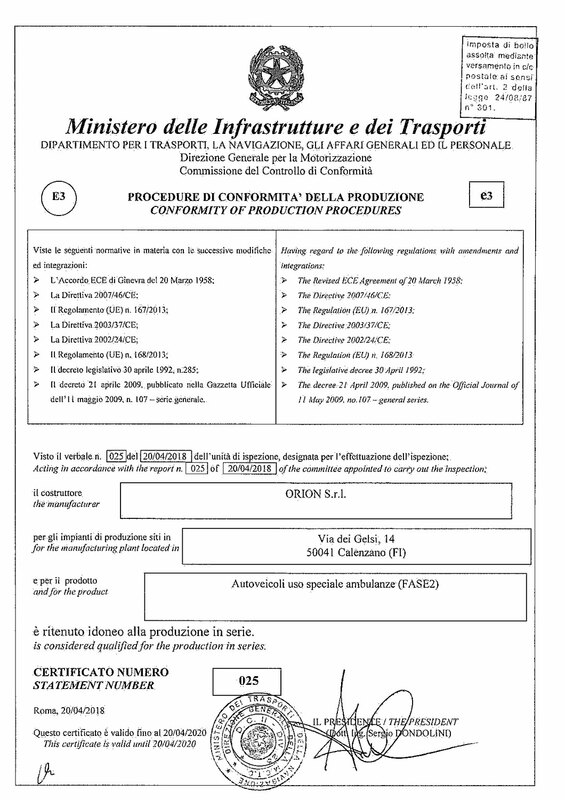 ORION also has OFFICIAL certification of the conformity of its products to the European Standard EN1789. 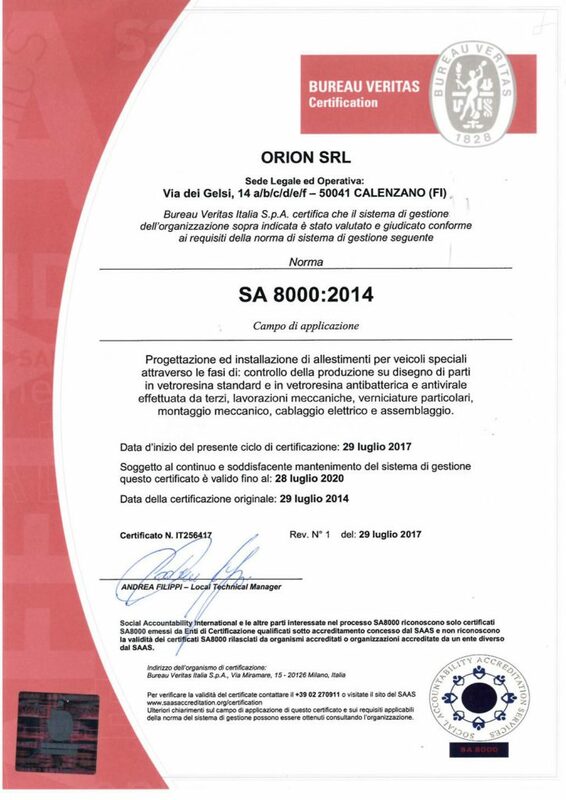 In 2011 the company also obtained ethical certification of the SA8000 standards, achieving another important goal on its way to maximum possible quality. 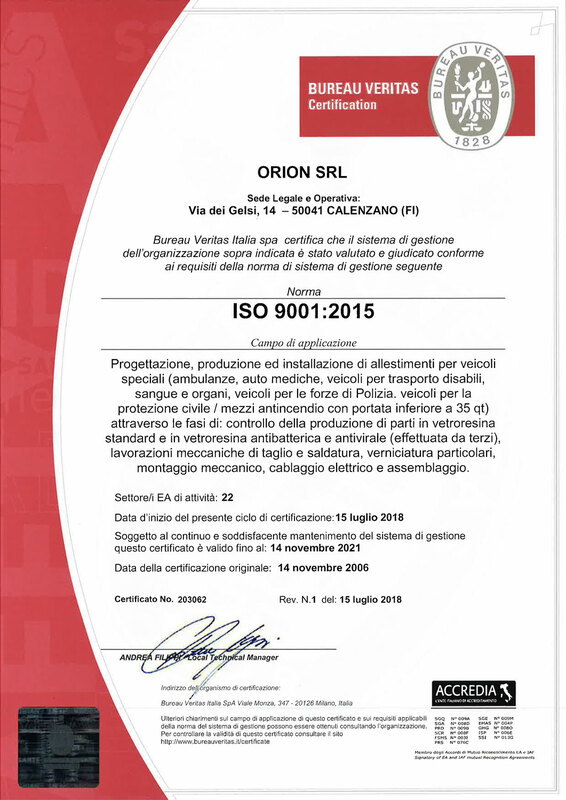 The next step was that of creating an ORION environment policy, which embraces the workplace, product quality, corporate liability, health and safety of all the men and women who work in ORION. 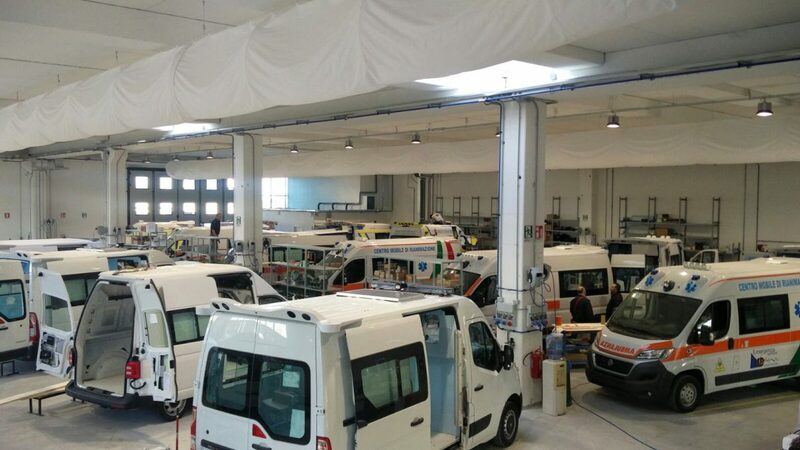 This is because remaining in the front line also means maintaining high levels of excellence of the products sold, because they are the mirror of what is going on inside the company. 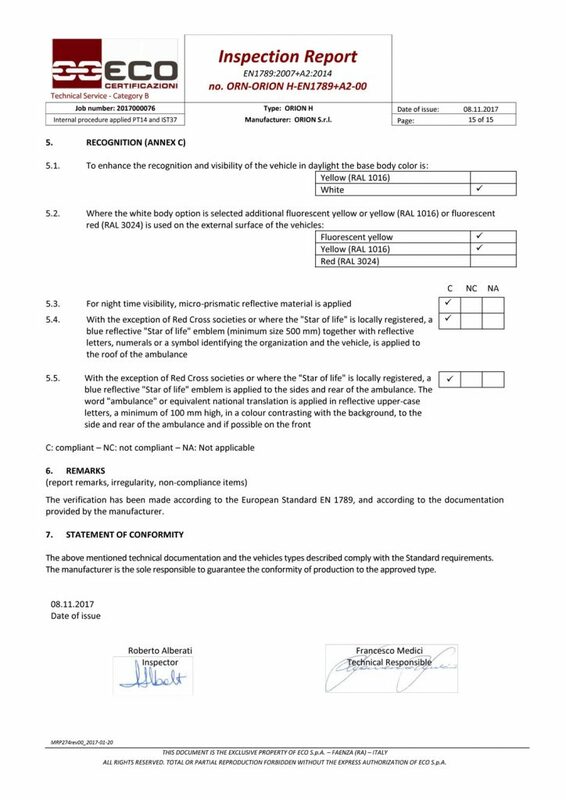 This is why ORION has established a quality pact that is summarised in the Orion Corporate Policy.